What you see is Tropical Tidbits(left) and Windytv(right) pressure maps for a possible storm near the PH this week. I noticed that the pressure readings vary, but how did this happen? Appreciate any explanation! @ivo checked the latest model run tonight (UTC +8:00 here in the Philippines), still varies. Are we talking for Sunday 16 Apr? I see the same central pressure (994 hPa) both in ECMWF & GFS but in different location. ECMWF shows the center over land (Philippines), GFS keeps it on the sea. Next days we'll see what model predicted more accurately the trajectory. @Siony-Mario The latest model's run almost disappears the Low over Philippines for Apr 16th. ECMWF shows it over Romblon isl. with central press. 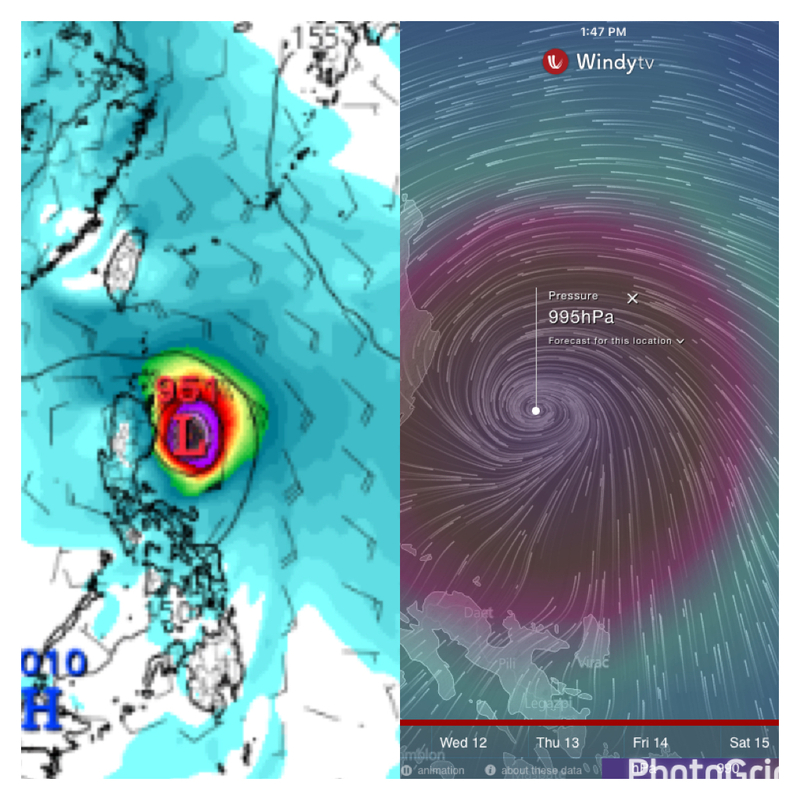 1008 hPa (yesterday's run was 994) and GFS shows it over Catbalogan (1003 hPa). As I remember it was predicted as a small eddy coming from Southeast. It wasn't an well organized cyclonic system so it has a chaotic behaviour. try different runs and you'll see totaly different forecasts for next Sunday.